I have to confess that while my son already had hockey practice and a bike ride with his dad to a local coffee shop, I was still in bed! The week wiped me out. It was nice to relax a bit and get in a good night’s sleep. Something tells me I will have two boys napping later today. Do you all have fun plans for the holiday weekend? We have a few things to do around the house and plan to entertain both days. Keeping it all very casual. But I will also be doing my fair share of online shopping. The sales are actually very legit! Take a look. Loft wins the award for me right now. Such cute things right now and everything is 40% off. This sweater is beautiful. And 40% off. It’s one that works for any occasion. You can wear it to work, church or a day out with the girls. I would dress this up with a great pair of jeans and heels for a Fall date night, too. The sleeves just give it something special. This is a great one for the holiday season as well (think family photo). Talk about a great holiday photo option!!! 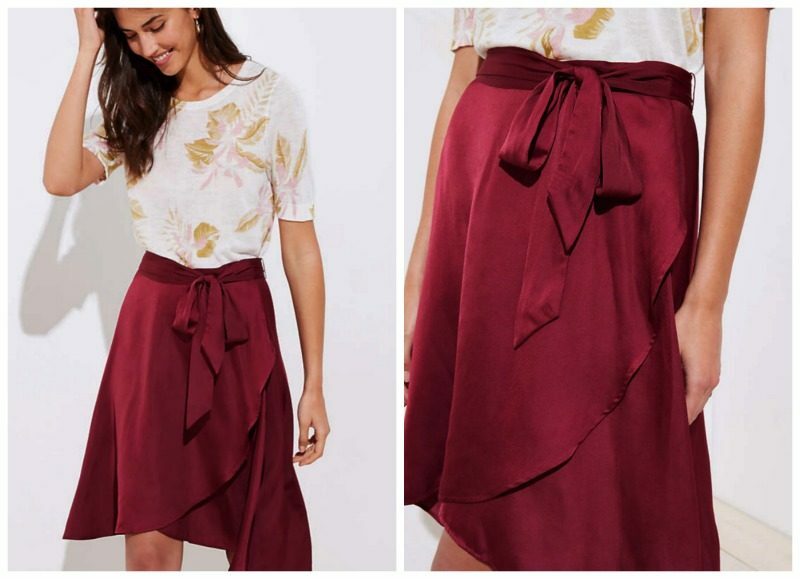 This cranberry wrap skirt is gorgeous and on sale for $30 this weekend! I don’t love it with that top but would rather see it with something like this tucked in. This cowl tunic is another great find. This is such a flattering cut and looks great as is or under a black moto jacket or blazer. 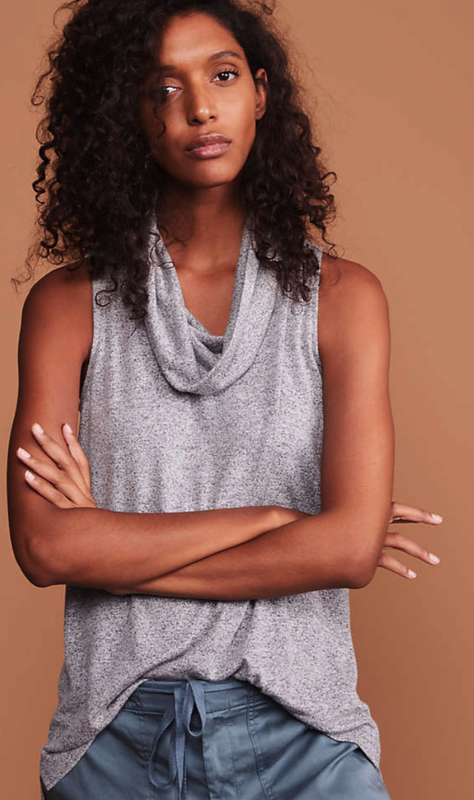 Yes to the sleeveless tunic! This striped tunic is now $26. The signature Lou & Grey dress is an incredible buy at 40% off. I LOVE This dress. It’s incredibly soft and works for so many occasions. I love to throw it on with these sneakers and run errands. I usually tie a plaid shirt around my waist. It’s also great with a pretty necklace and flats. Or you can sass it up with booties. GREAT dress! 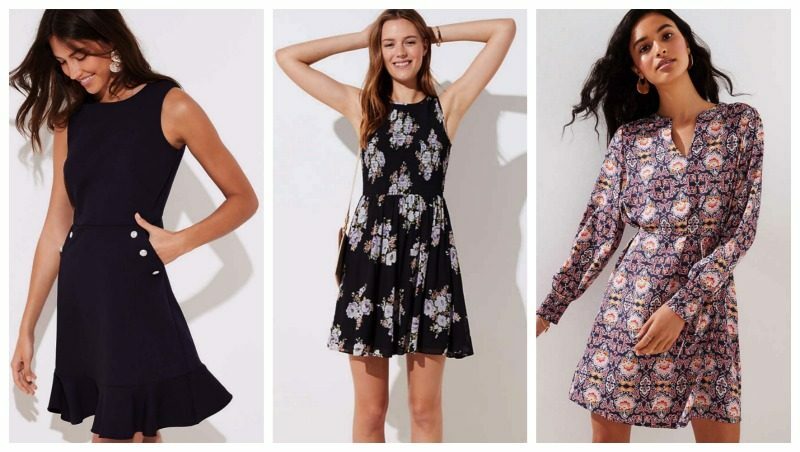 Don’t forget these darling dresses are all 40% off. Love them all so much. Ordered the middle one in a size 4. I am such a fan of these pants. They fit so well. Very soft and flattering. I sized down to a zero in these. Now that they are 40% off it’s the time to buy them. The black shell is so feminine and pretty and a great wardrobe staple. Can be worn free flowing and longer or tucked in a bit like I have styled it here. J.Crew is offering 40% off of everything. That’s incredible. And so many sale items are an extra 50% off. 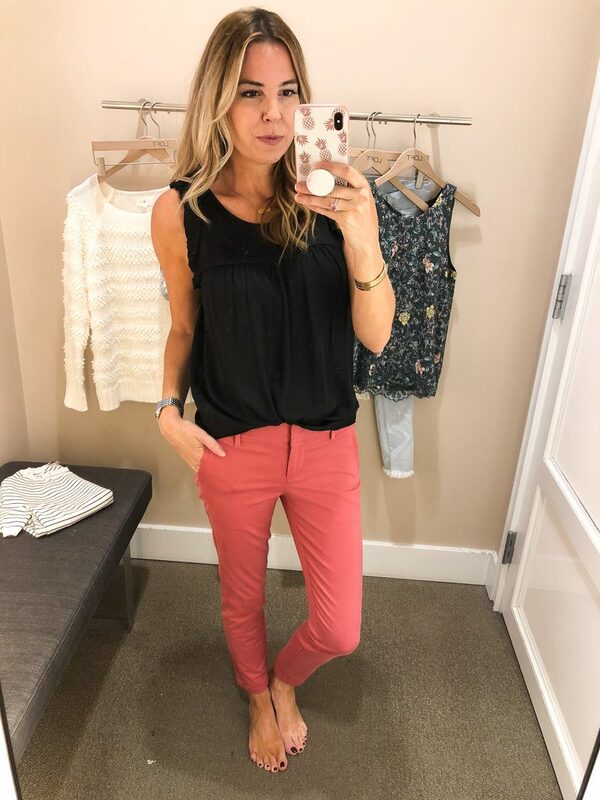 It’s such a good time to look at new arrivals and sale pieces. 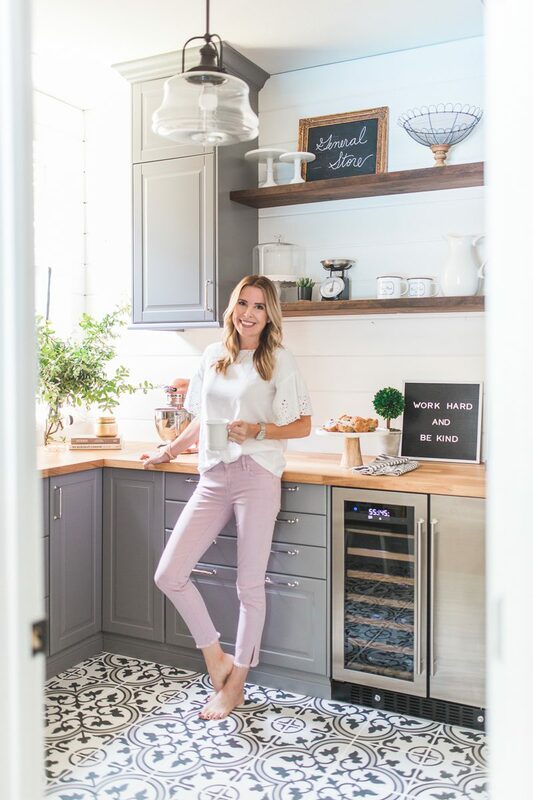 This is one of the most popular items and it comes in so many colors. 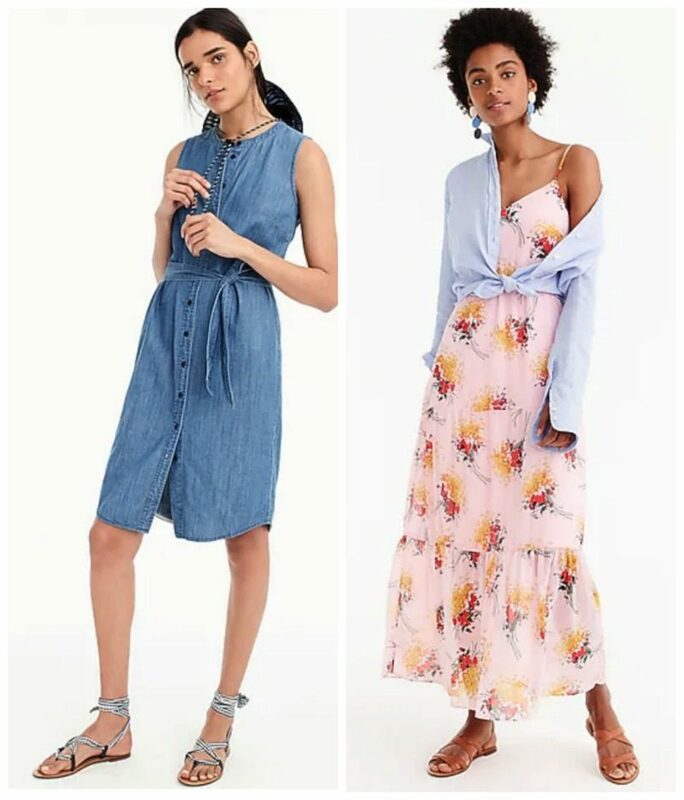 I thought these dresses were darling and they are both on clearance. So cute with denim jackets or a cardigan for Fall. 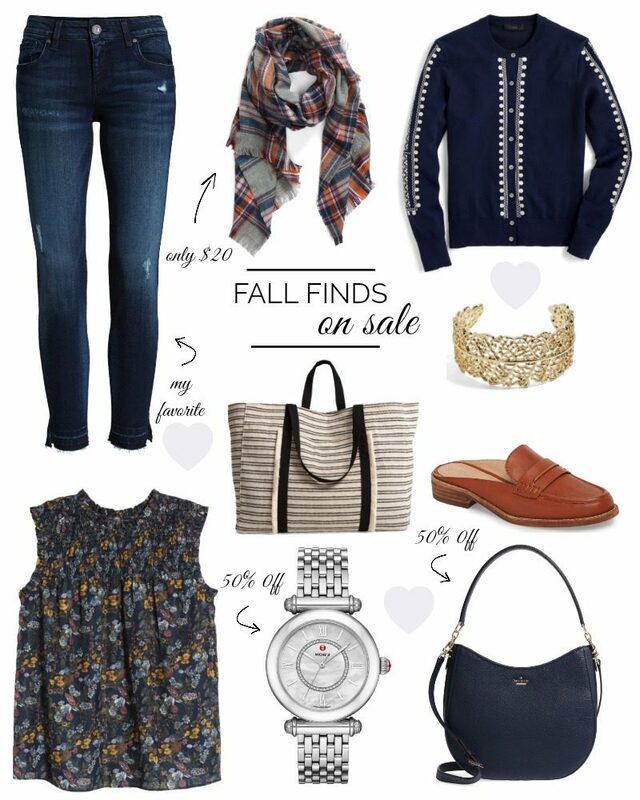 You can check out the entire sale at J.Crew here. Happy browsing! 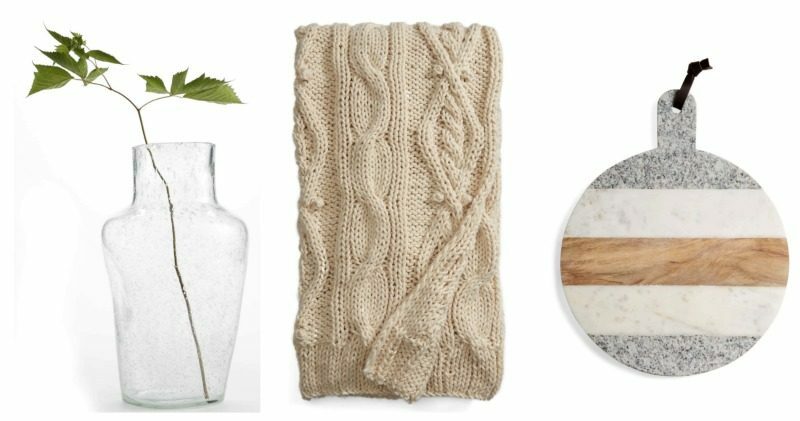 These are some of my favorite home finds from Nordstrom. I just ordered the cable knit throw to have on the chairs in our bedroom. It’s 50% off and comes in three colors. Great gift idea, too. 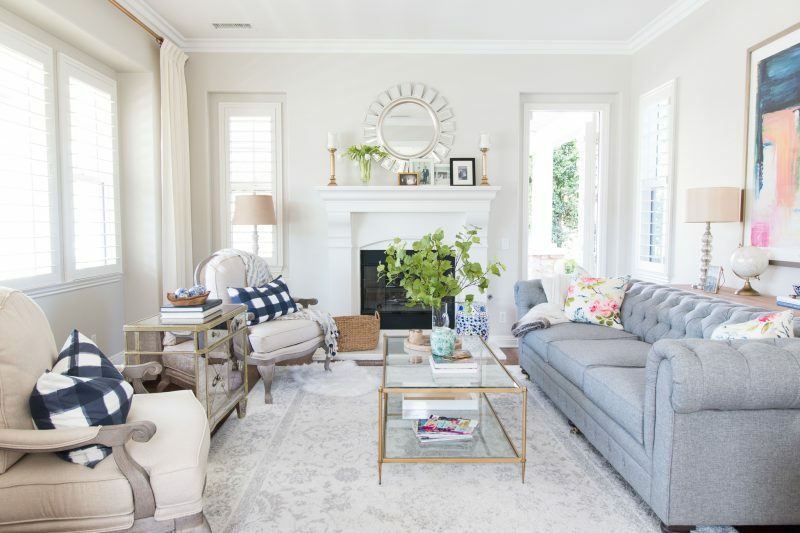 The large vase is an incredible statement on a side table or kitchen counter. So pretty and only $39. 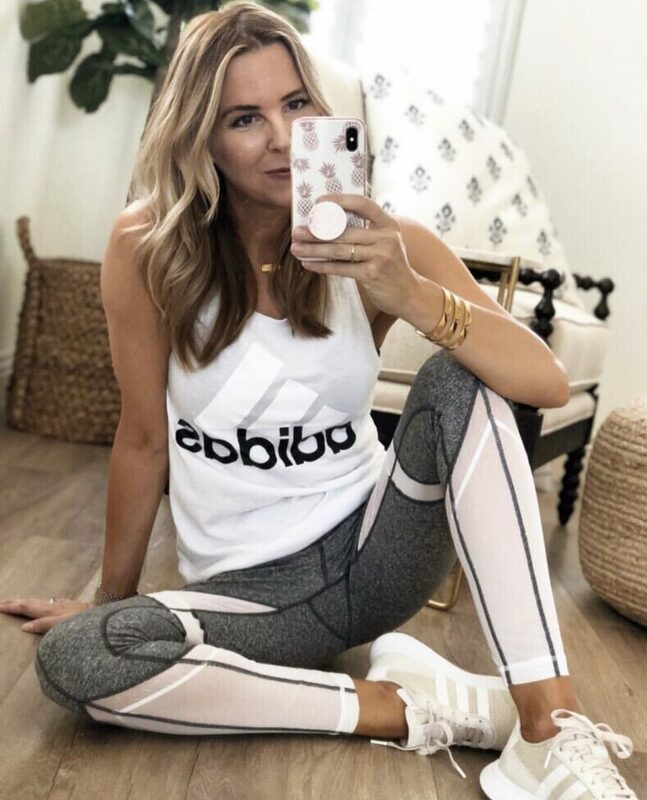 These Zella leggings are on sale again. I wear them all the time. So cute and always get so many compliments on them. I shared these finds with you the other day. All so cute and on sale. But sizes are going quickly. These are once again on sale and now 40% off. So cute. I adore these. I have them in black. I mentioned I bought this pullover (finally) in two colors and can’t wait for them to arrive. I bought it in the pink and the green because the $40 price tag is too good to pass up. We are headed to cold weather over the holidays and these will be perfect. 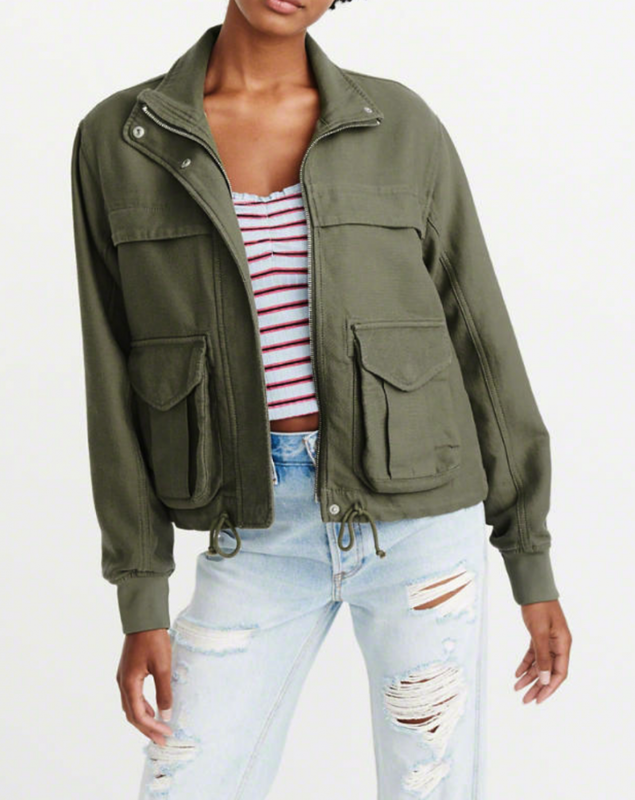 The drapery bomber jacket is such an nice take on the utility jacket style. So much more feminine and pretty. LOVE this! This cable knit cardigan is darling and comes in three colors. Now only$40! You can shop the entire store at 40% off this weekend!!!! So many cute things. These pendants are almost identical to mine and are 20% off. These measure 12″ just like mine. Awesome price!!!! 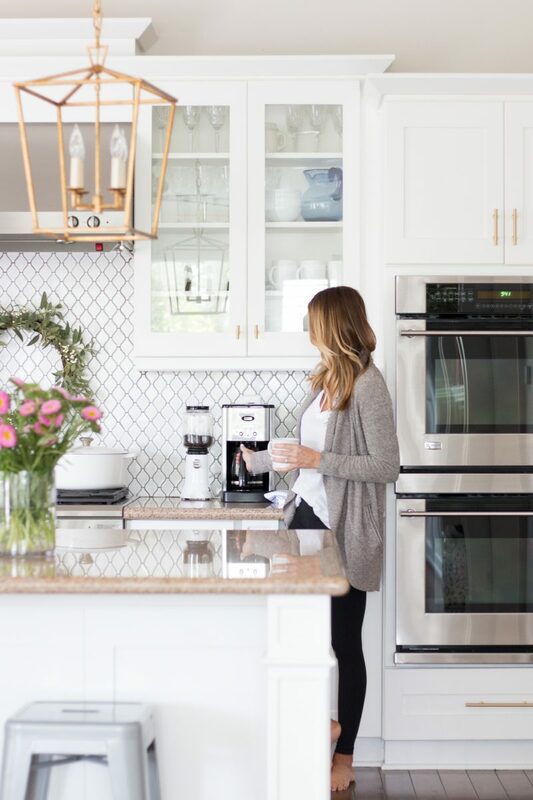 Our pantry pendant light is now 55% off. We love the retro feel of this light. In other home news, I saw that our son’s super soft duvet is on sale. He LOVES this duvet. Two thumbs up. Just saw that a sofa identical to ours is now $699!!! Major deal this weekend. It gets great reviews and comes in a few colors. Everything is 20% off!!!! Such a good time to stock up. I did. And my purchases always arrive two days later! It’s buy more save more weekend plus free shipping. That’s big if you have your eye on big ticket items. World Market is offering 30% off full priced furniture plus sale prices on bedding and towels. There are a ton of deals if you are a rewards member. Our every day dishes are on sale! Right now all of the sale items are an extra 40% off. Such great deals. We are off to prep for company and a fun bbq. Trying out a new dessert so I will let you know how it is. I will pop back in later to update any great sales I stumble upon. Enjoy the long weekend, friends!!! !